I bought this watch for my baby brother and he loves it. I wish that I could fine a J & S watch that was more of my style, not so bulky..!! This rubber strap men's watch from Joshua and Sons displays a metal case with an engraved minute tracker on the bezel. The sunray dial sets the stage for its multifunction features which include day, date and GMT. 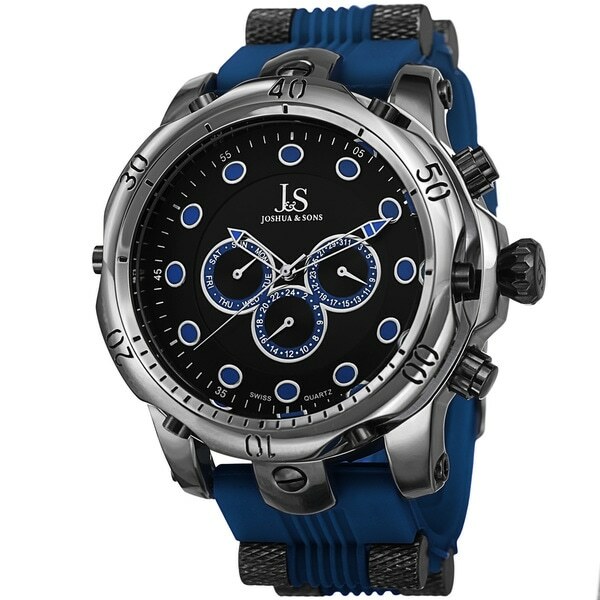 The sporty watch is an ideal piece.